Sealants are slim, plastic coverings painted on the rear teeth’s chewing surfaces. What is the importance of dental sealants? Prevention of tooth decay is the most crucial reason for obtaining sealants. When Fluoride is present in toothpaste and water for drinking, this shield the teeth’s smooth surfaces; however, rear teeth require more defense. Sealants cover the back teeth’s chewing surfaces and shut out food and germs. Obviously, a tooth which is healthy is the most ideal. Therefore, keeping away decay is vital. The rear teeth’s chewing surfaces are bumpy and jagged as they have tiny grooves and pits. Germs and food can become trapped in the grooves and remain there for a lengthy period as the bristles are unable to brush them off. When sealants are placed on teeth prior to them decaying, this shall save time also as well as money over time, by preventing crowns, fillings, or caps utilized for mending rotten teeth. 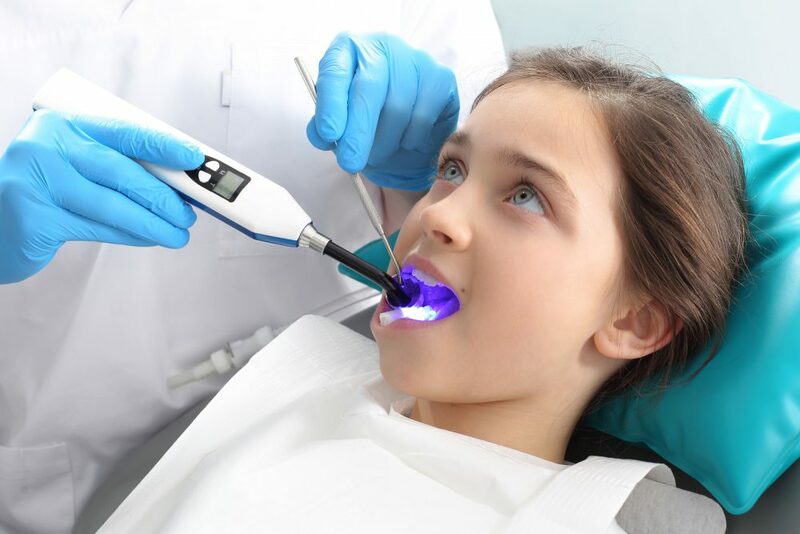 We advise our young patients to have sealants immediately their molars and pre-molars emerge, around the age of six and twelve. The American Dental Association states that sealants, which endure for numerous years, function by ‘shutting out’ food as well as plaque. The reason for this is that bristles are unable to access deep inside the crevices and grooves. Is it possible for dental sealants to be placed on adults’ teeth? Yes. Dental sealants that are not as popular are at times fixed on adults; however, this poses a risk of shallow fissures and grooves that do not have prior fillings or dental sealants.